This 6" iron style plastic block is filled with plastic in assorted colored. Trim 1". 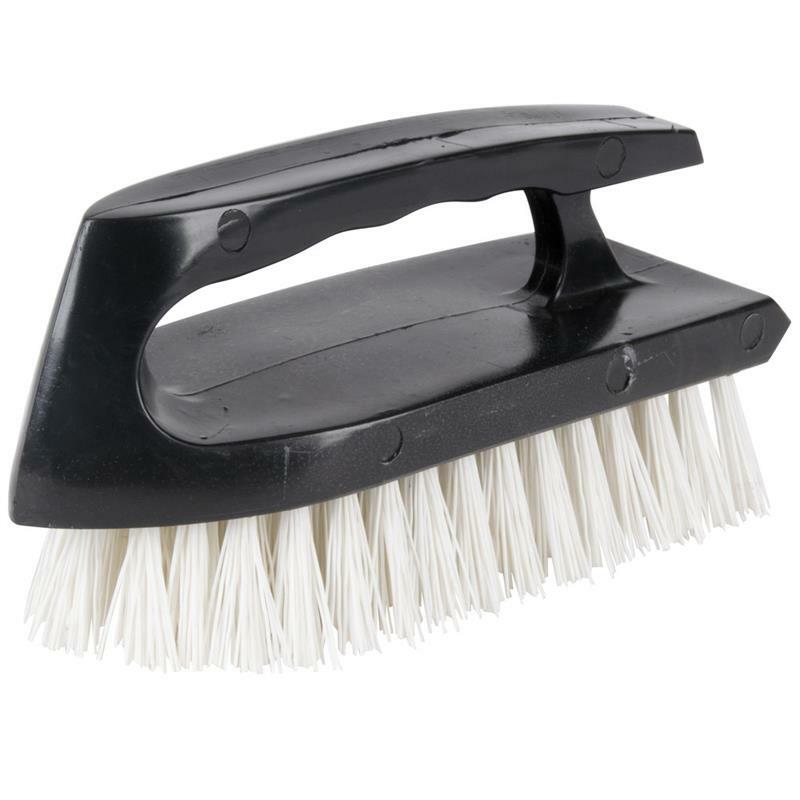 It is ideal for light duty household and kitchen scrubbing.